Fruits and vegetables make up an important part of a healthy and well-balanced diet. In fact, the USDA recommends 5 to 9 servings of fresh fruits and vegetables each day. Wheat grass powder can help you dramatically increase your "veggies" intake in a convenient powder form. 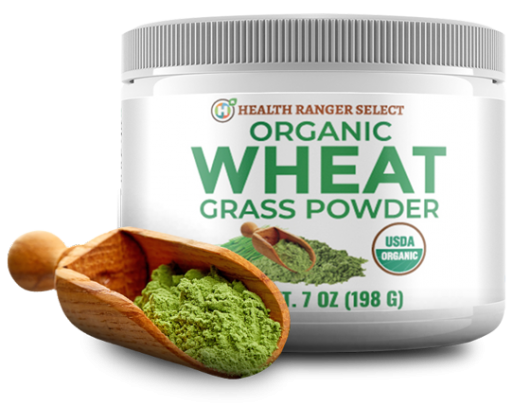 Introducing Health Ranger Select Organic Wheat Grass Powder, the ultra-convenient way to increase your daily intake of antioxidants, chlorophyll, and other potent nutrients found in wheat grass. This nutrient-dense powder can provide a multitude of impressive health benefits. It's certified organic, vegan, non-GMO, and gluten-free. Our high-quality wheat grass powder is 100% grown and harvested in the USA, and it has been thoroughly lab-tested for glyphosate, microbiology, and heavy metals. Add the powder to your favorite juice or smoothie to give it a nutritional boost. beat our lab verified organic wheat grass powder. 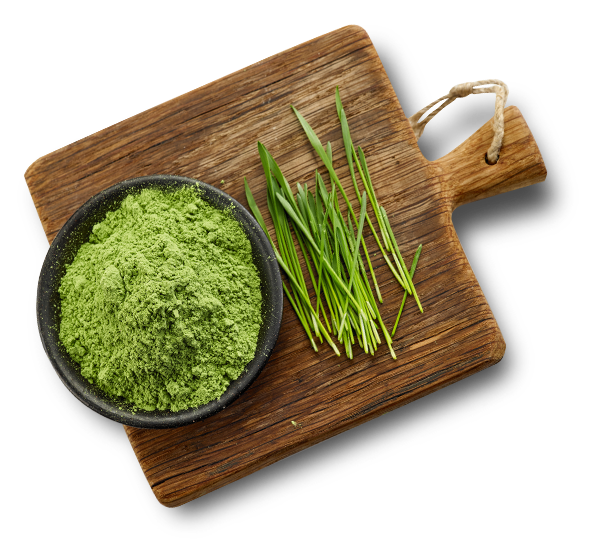 Wheat grass powder is one of the most potent sources of chlorophyll in the world. It also contains high levels of various antioxidants, such as flavonoids and phenolic acid. These potent antioxidants can help combat oxidative stress and promote overall health. Wheat grass powder is also loaded with vitamins A, C, E, K, and B-Complex, and electrolytes, such as magnesium and calcium. Other nutrients you can find in wheat grass powder include iron, selenium, and multiple amino acids. The health-promoting properties of wheat grass allow it to serve as an excellent tool for maintaining healthy cholesterol levels that are already within the normal range. Wheat grass contains high levels of chlorophyll that can aid in regulating healthy blood sugar levels that are already within the normal range. Wheat grass can serve as a natural liver cleanser and support healthy liver function. an important role in aiding your body's natural processes of eliminating toxic elements. Wheat grass is loaded with beneficial nutrients that your body needs for healthy digestion. Since it is also a rich source of fiber and chlorophyll, wheat grass can help improve the function of your digestive system. Wheat grass is packed with vitamin C and other antioxidants that are essential for a healthy immune system. Wheat grass is high in fiber but low in calories. 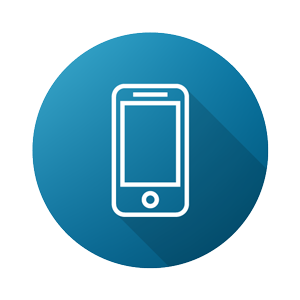 This makes it a perfect addition to your sensible weight loss strategy. HIGH IN NUTRIENTS AND ANTIOXIDANTS: Wheat grass powder is a nutritional powerhouse that's loaded with essential vitamins, minerals and antioxidants that promote optimal health. It contains vitamins A, C, E, K, and B-Complex, 17 amino acids, and traces of 92 minerals found in the soil, including calcium, phosphorus, iron, magnesium, and potassium. Its high nutrient content makes wheat grass a nutritionally complete food. RICH IN CHLOROPHYLL: Chlorophyll is the natural pigment that is responsible for the greenish hue of most plants and it plays a crucial role in aiding photosynthesis (converting sunlight into energy). When you consume chlorophyll, it can support the healthy functioning of your immune system, adrenal system, and digestive system. As one of the world's finest sources of chlorophyll, wheat grass consists of around 70% chlorophyll. ALKALIZING THE BODY: Keeping your food intake more alkaline is important for maintaining optimal health. Because wheat grass powder contains certain alkaline minerals, it helps you more easily follow an alkaline food intake plan. 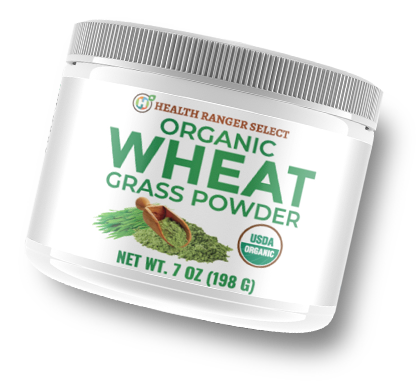 The grass will always be greener on your side with Health Ranger Select Organic Wheat Grass Powder. This nutritional powerhouse is a practical and convenient way to get your nutrient fix, especially in today's fast-paced world. We meticulously lab test our organic wheat grass powder, so you can be sure that you get a vastly superior product that goes far beyond "organic" in our laboratory analysis and testing. It is also vegan, gluten-free, non-GMO and 100% grown and harvested in the USA.